Professionally speaking, Jim is a lawyer, but currently focuses his professional passion on serving as the CEO of new legal startup, QualMet. QualMet’s mission is to collaboratively transform the legal service delivery model to deliver greater value to both in-house and outside counsel. To achieve this goal, QualMet is developing a suite of services and tools to allow general counsel, their legal departments and outside counsel to better align through defining, measuring, sharing and managing value delivery to directly benefit internal corporate clients and their external customers. Prior to recently taking the helm at QualMet, Jim was Chief Business Development Officer for the law firm Frost Brown Todd LLC since August 2011. Prior to rejoining Frost Brown Todd where he was a lawyer 14 years ago, Jim ran R.J. Reynolds Tobacco Company in Puerto Rico for three years. 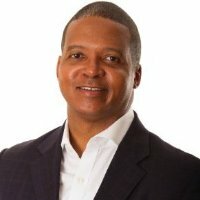 Jim also served as Senior Director of International Business Development and Senior Counsel for Reynolds American Inc. in Winston-Salem, North Carolina, prior to moving his family to Puerto Rico in 2008. Jim has a Marketing degree from Indiana University in Bloomington. Following undergrad, Jim worked five years between Frito-Lay, Haagen-Dazs and Kentucky Fried Chicken before entering law school at the Mauer School of Law at Indiana University in Bloomington. Jim graduated from law school in 1998 and practiced at Frost Brown Todd in the Venture Capital, M&A and General Corporate areas. Jim is happily married to Angela who, for over 13 years, has been his confidant and best friend. Jim and Angela have a son, Holden, who is eight and is in the 3rd grade. Being an extraordinary father and husband are two of Jim’s greatest goals and he works hard to meet these mandates. Jim and his family are members of Burnett Ave Baptist Church in Lousiville, KY and Jim mentors 2nd, 3rd and 6th graders at the West End School, also in Louisville, KY. Outside of family and church, Jim enjoys reading fiction and business innovation books on his iPad. Jim is also a music aficionado to the point of having his iTunes account now under the supervision and management of his wife Angela.